10Bet has been around since 2003 as an online sports bookmaker and only recently, in 2012 added 10Bet Casino as a feather in its cap. 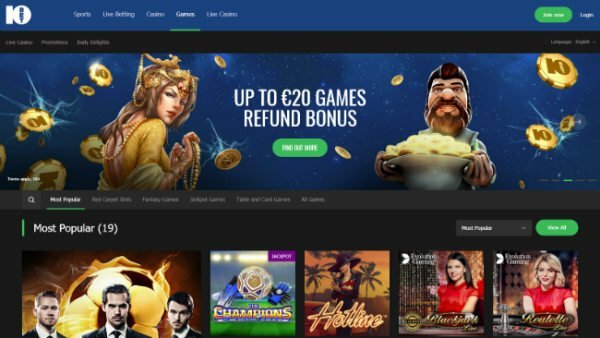 10Bet Casino is regulated by Malta Gaming Authority since October 2016 (while the UK website 10bet.co.uk is licensed by the UK Gambling Commission). With 19 different languages available to play in, not forgetting Canadian (I think they must have meant French Canadian). 10Bet Casino are certainly prepared to deal with their players, no matter what language they wish to speak. Downloading 10Bet Casino is not an option but, sign up for the flash game play is simple and no fuss whatsoever. Only 12 Bet10 Casino deposit methods are available but, all the main payment methods are accepted so it shouldn't be a problem. 10Bet Casino software is a mix of the much loved Microgaming and the cutting edge, innovative Sheriff Gaming. CTXM also pops its head up to help those 10Bet Casino games run as smoothly as possible. Make your Vegas Dreams come true with the spinning lights of a Vegas themed slot or, mix some chemical solutions in Dr. Watts Up's lab of test tubes and 243 ways to win slot. Graphics range from the old school machines, recreated in all their glory, all the way to the latest in Microgaming casino technology. Boasting the biggest casino deposit in the business, 10Bet casino bonuses are a dizzying display of just how generous an online casino can truly be. There are 10Bet Casino progressive slots and progressive jackpots on offer too. There are numerous slots with free spins on offer and 243 different ways to win. You can also play Tomb Raider II, Hellboy and Hitman if you want to keep up with some of the current favourites in the world of online slots. With plenty of 3D slots, 10Bet Casino hits the spot. 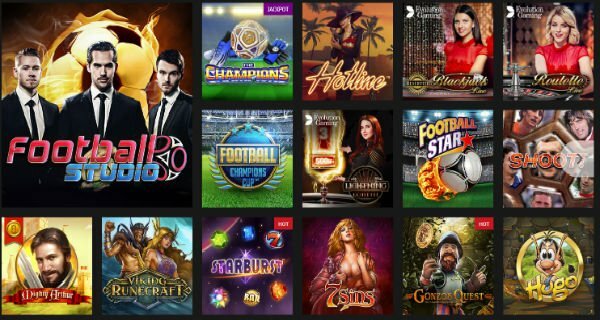 For those that prefer more interaction while placing their bets, 10Bet live casino is available with some real-time casino action for you to get your bets into. Boasting the biggest casino deposit in the business, 10Bet bonuses are a dizzying display of just how generous an online casino can truly be. With a welcome bonus set to make you tingly with anticipation all over, €1,000 will certainly make you feel part of the playing team. You can focus on 10Bet Casino slots bonuses or on all games bonuses, depending on your tastes. You will get slightly more if you choose to exclusively play the slots:- 100% up to €200 on your first deposit (use the special bonus code 200FIRST). 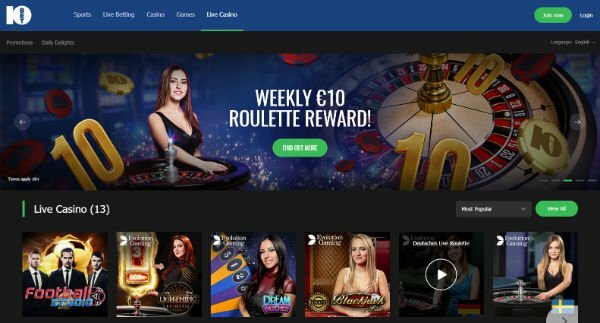 You can also get bonuses on your next 2 deposits using the bonus code 300SECOND for for 50% up to €300, and by using 500THIRD for 25% up to €500. 10Bet Casino promotions won't leave you disappointed either. Get ready for special monthly rewards, triggered by slot play action where you can win up to 80 free spins. 10Bet Weekly Mobile Cashback Bonus will keep you on your toes as well, offering a bouns 10% up to €100! *New Customers - Min. deposit £15 (no Skrill / Neteller). *Bonus amount is 100% of 1st deposit, 50% of 2nd and 25% of 3rd deposits. *35x deposit and bonus rollover in 15 days for bonus winnings release. *Bonus for wagering, deducted upon winnings release. *The is a Withdrawal limitation. *Terms & Conditions Apply, All players must be 18+. You can enjoy 24/7 Support. There are specific email addresses, so your query can be dealt with by the correct people and, although there are no Freephone numbers, there is an online contact form plus live chat available.